Eye: A natural dark amber. Nose: Complex, a freshness despite its age, and a light rancio. Notes include licorice, mushrooms, and undergrowth. It has a dense, rich nose. Palate: Flavors of violet, candied fruit and prune, with an end of honey, fennel and spices. The end has a marked rancio and truffle taste, bring it round to the nose. The Vallein Tercinier Lot 40 is a rare Cognac; one which holds its own fabulously, considering the expectations that loom over it dating back nearly 80 years. Distilled during the Second World War, it is the perfect choice if you’re looking for a story behind your drinks cabinet. In fact, this Cognac was bottled as a tribute, or "hommage" to Paul Vallein who succeeded his father, Georges, in 1850. Georges Vallein founded the family Cognac house, however Paul established a legacy and really aligned the brand with delivering quality products. 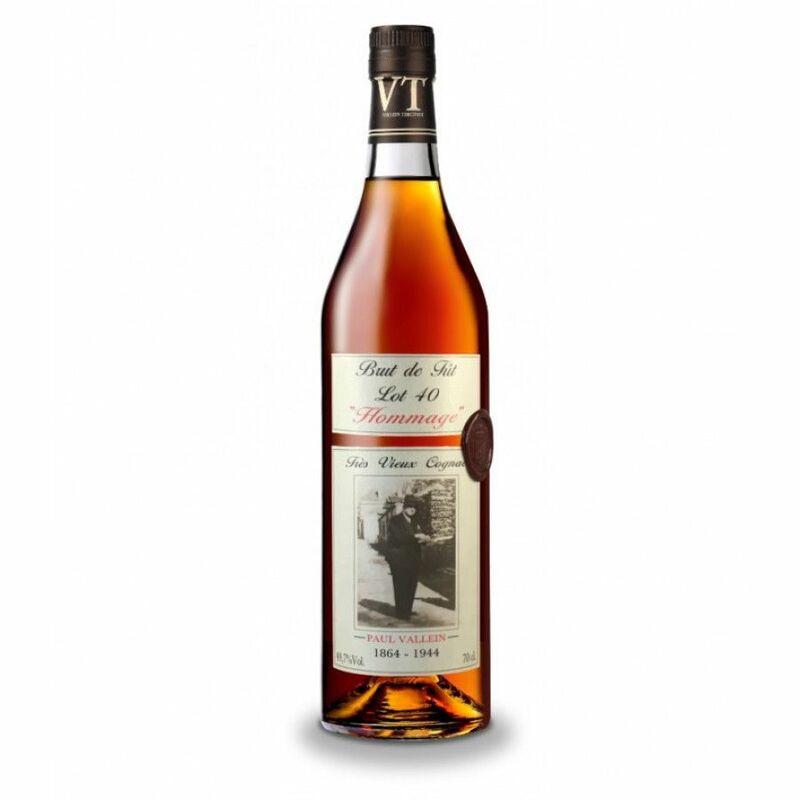 The Vallein Tercinier Hommage Cognac is a wartime Vintage which hails from the Bons Bois region, hence its rounded body. Despite the fact that Cognacs from this region tend to age quicker than most, this Bons Bois edition has spent many a decade in the cellar. It was bottled in 2017, and is non-chill filtered Cognac. The Vallein Tercinier Cognac house have put together one of the most complete, and varied set of Vintage bottles in the world of Cognac, including this one. The Cognac house have been based in the Domaine des Forges in the Saintonge for generations. Having passed down values and craft five times, and now from Paul Vallein to his nephew Louis Tercinier, it is a family house through and through. The presentation of the Vallein Tercinier Lot 40 Cognac is very much in keeping with the tale that it has to tell. It is adorned with a black and white photo of Paul Vallein himself, and the red seal on the side of the bottle. A mere 570 bottles were created. As with a good Vintage Cognac, enjoy it neat and let yourself be taken on a sensory adventure.